Last year I developed a strong interest in campfire-scented candles. Why? Not sure. My tastes changed, I guess. I used to skew toward fruity, tropical scents but now with fall firmly in the air (and my tropical travels over for the year), these masculine varietals feel cozy and right. 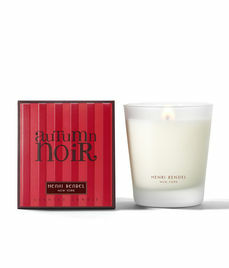 Autumn Noir from Henri Bendel. HB also makes a candle called “Firewood,” but I like this one better. It brings in the campfire scent but also is reminiscent of leaves and fall spices. This is burning in my house as I type this. (“Holiday” is another great seasonal scent from HB and comes in a gorgeous gold glass container). 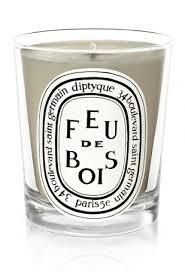 Feu de Bois from Diptyque. French. Expensive. Tres chic. Ski House from LAFCO. My gateway firewood candle and still #1 in my mind. 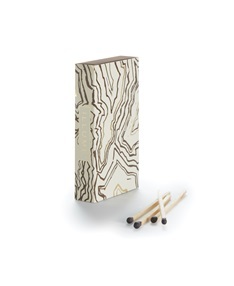 Woodfire candles from Illume. 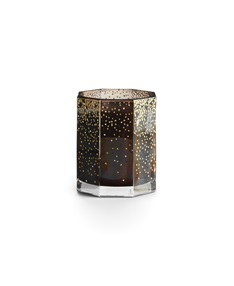 These candles are part of a seasonal collection from Illume and come in a variety of vessels, sizes and price points. The scents are the same for the two above but the presentation is obviously different. I love the idea of pairing these with a box of oversized faux bois matches (also Illume). This is my favorite new find and one I will definitely be giving for the holidays this year. 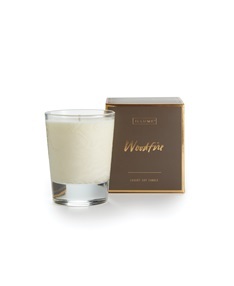 I am OBSESSED with the firewood scents following a trip to the W when they used to have these amazing candles in the lobby. I spent years trying to find a similar scent and recently did at Bath and Body Works of all places (long story), but I’m loving this list! Thank you! I almost posted about the Bath and Body Works one as a budget option; you can often get them for $11 each and then it’s time to stock up. It feels decadent to burn several at once.